Crawl spaces are easy to ignore, until there is a smell coming from the area or you just can’t figure out where the mold and moisture are coming from. When crawl space damage is allowed to worsen with time, it can amount to a much more expensive cost of repair. The Killers Crawl Space Restoration suggests and annual crawl pace inspection, just like you get for your roof. We keep the area under your home healthy by ensuring it is well ventilated, there are no creepy crawlers making a home there, and the vapor barrier and insulation are intact and in good condition. Why do I need a crawl space inspection? Animals can take up living under your house and make a mess. They tear up insulation and vapor barriers, as well as spread urine and feces. Animals can even die under there. All of this spreads bacteria and makes the crawl space less energy efficient. Insects also cause damage. 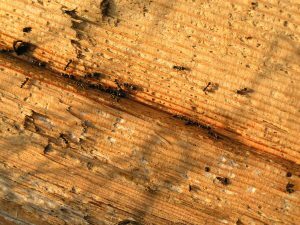 Carpenter ants and termites can find a way in through the crawl space. Once they set up a nest, they quickly cause thousands of dollars worth of damage to your home’s structural materials. Mold easily finds its way up into the flooring and farther, once it gets a foothold in the crawl space. Correct ventilation and moisture barriers are an important part of keeping that from happening. Mold is not only a threat to the building materials of your home, but also a threat to your health. Energy-efficiency can be inhibited by a crawl space that is not well insulated. 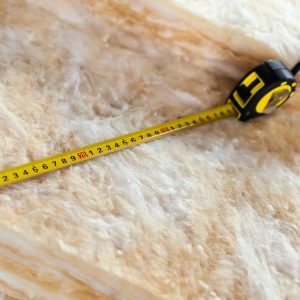 When critters get in, or if the house is simply old, insulation can breakdown. Out inspection takes a careful look at the state of the energy efficiency of the crawl space. Our experienced technicians do a thorough inspection of even the tightest crawl spaces. We know where insects hide and how to identify the problem and the amount of damage that has spread. We also work with animal removal services to take care of any rodents or other creatures that have moved in. Our technicians measure the airflow and can tell when it is blocked and not airing out at the appropriate level. We also test for mold and proper insulation. Once a comprehensive inspection has been done, we take the time to talk to you about what we have found. We offer a written report and are happy to go over each item on it. Not only are our technicians good at the service we provide, they are also selected for their dedication to excellent customer care. Any suggestions we make for repairs or clean up work will be clear and the estimate will be transparent—never any hidden fees! 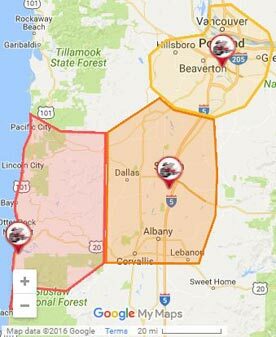 Call today for a crawl space inspection in Portland and keep your home safe and protected from the damaging affects of a deteriorating crawl space. With experience going back to 1991, we have the expertise to complete an inspection that finds everything!